I guess you’ve heard at least once about the incidents of Fukushima and Chernobyl when the nuclear plants released radiation. But, just because of a few accidents, why do people still talk about stopping the power plants? There have only been a few incidents since 1970 involving nuclear power plants releasing radiation. I was in third grade when the disaster happened in Fukushima and one thing many people remember about this disaster was the injuries and the deaths that occurred during this earthquake. 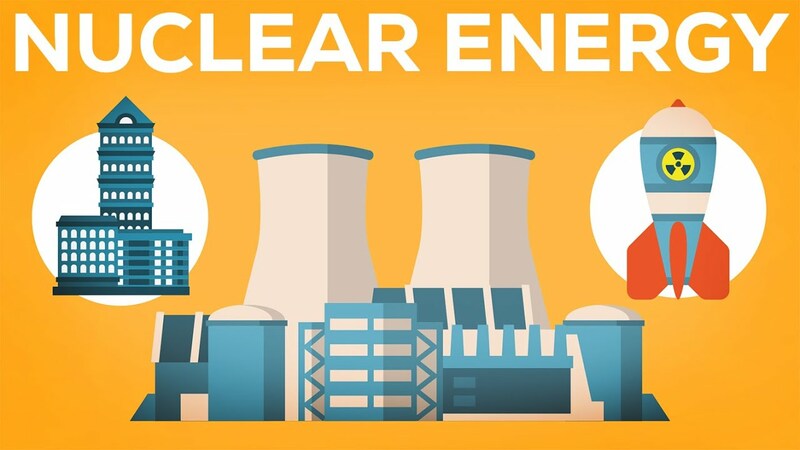 But nuclear power plants create energy for many uses in our daily lives. Nuclear power plants should exist since nuclear power boosts the efficiency of our daily lives. When experts argue that nuclear energy is not safe, people argue only about the safety about plants because of the few incidents it had in the past. But in reality, nuclear power plants are usually safe, unless there is some sort of unusual disaster happening. For, example, in Fukushima an unusual occurrence happened. When the tsunami came, the workers at the nuclear plant turned the plants off to cool it down but for an unknown reason, one reactor didn’t turn off. After the tsunami hit, it released nuclear waste. Not including Fukushima, Chernobyl, and 3 Mile Island, many potential accidents have been stopped because of the guidelines that the plants had in case of an accident. For example, Matthew L Ward, a publisher from the New York Times stated that “After 911, the U,S has made new guidelines for nuclear reactors in case of another accident that might happen in the future”. This shows how countries update their guidelines when some kind of disaster happens. Some experts might argue that nuclear power produce radioactive wastes. Even though nuclear power plants create radioactive wastes, the uranium that the plants use is full of energy. So uranium the size of a fingertip contains as much energy as 1780 pounds of coal, 17000 cubic feet of natural gas, and 149 gallons of oil. Because of this, the U.S saves $12 billion dollars of energy costs. Also, nuclear plants emit less radiation into the environment than coal mines. Think of a dreadful disaster that might happen in the future such as famine, artificial intelligence invading, and nuclear threats by countries. Instead of worrying about nuclear energy, think of many more threats that can happen in the future. Many people would fear nuclear weapons than plants. Then why argue about the power plants when you can worry about a fatal threat? A deadly threat that can destroy humanity in a blink of a second. People argue that nuclear energy is bad for the environment and for us, because of the radiation and the waste that it releases. But looking at the current issues, there are many more life threatening problems happening such as wars and conflicts. There is more to worry about. Kinsella, William J. “How will the federal government protect nuclear safety in an anti-regulatory climate?” Opposing Viewpoints Online Collection, Gale, 2018. Opposing Viewpoints in Context, http://link.galegroup.com/apps/doc/FPQJVI228867053/OVIC?u=60iskl&xid=8b0160cf. Accessed 26 Feb. 2018. Originally published as “How will the federal government protect nuclear safety in an anti-regulatory climate?” The Conversation, 17 Apr. 2017. “Nuclear power.” Environmental Encyclopedia, edited by Deirdre S. Blanchfield, Gale, 2011. Opposing Viewpoints in Context, http://link.galegroup.com/apps/doc/CV2644150965/OVIC?u=60iskl&xid=722d8900. Accessed 26 Feb. 2018. Edited from World Nuclear Association information paper. “The Risks of Nuclear Accidents or Terrorist Attacks on Plants Are Minimal and Manageable.” Nuclear Power, edited by Lynn M. Zott and Helga Schier, Greenhaven Press, 2013. Opposing Viewpoints. Opposing Viewpoints in Context, http://link.galegroup.com/apps/doc/EJ3010843207/OVIC?u=60iskl&xid=5136aab4. Accessed 26 Feb. 2018. Originally published as “Safety of Nuclear Power Reactors,”, Mar. 2012. Good, Sam. “Nuclear Power: The Good, The Bad, and The Beautiful.” Greening Forward, 26 Dec. 2014, greeningforward.org/nuclear-power-the-good-the-bad-and-the-beautiful/. Wald, Matthew L. “Disaster Plan Problems Found at U.S. Nuclear Plants.” The New York Times, The New York Times, 12 May 2011, http://www.nytimes.com/2011/05/13/business/energy-environment/13nuke.html. Hey Shion, your editorial really helped me to understand the significance of nuclear power plant and how it creates lots of energy for many uses in our daily lives. In addition, I wasn’t aware of the incidents that happened in Fukushima and Chernobyl. However, I’m now going to research more about the incidents that happened in Japan and thanks for your awesome editorial!!!!!!! I like that you chose and interesting and controversial topic to write your editorial on. You clearly mentioned the pros of nuclear energy, specifically how nuclear plants emit less waste than coal mines; and you also thoroughly identified the counter claim to your argument and disproved it well.